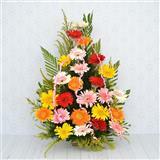 Amaze your dear ones in all cities in India with a bunch of amazing flowers. A bunch of fresh flowers surely constitute the best gift as they speak more than words. 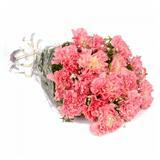 Send this 10 bright Yellow coloured Carnations arranged along with 6 yellow Gladiolus. 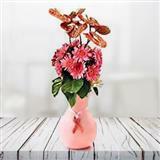 The arrangement is unique and looks artistic. 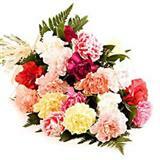 As, Carnations express love, beauty, pride, fascination and distinction they will surely be loved by the recipient. 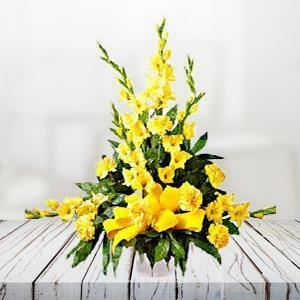 So, order this flowers along with other Gifts across India through GiftsAcrossIndia.com to be delivered in midnight and make him/her feel special.